Both the brain and movement are essential to learning. Whole Brain learning and movement awakens and energizes the brain; movement begins in the brain. Movement is Learning. The brain takes in and organizes complex information from every cognitive thought, sensory input, motor movement, and interaction. With whole brain integration every single thought, movement, etc. easily becomes information and is absorbed and utilized by into the brain to create now patterns of learning and behaving. By continuously incorporating new sensory input, the brain is constantly learning, making predictions about how to learn, what is needed to learn and it sets up such internal conditions in the brain to accommodate new learning. Neuro –Educational Kinesiology movement is an important part of this learning. Specifically designed brain exercises will increase the chemical release and the development of connections in the brain and the corpus callosum. Neuro-Educational Kinesiology Whole Brain Movement stimulates parts of the brain that will facilitate freeing the stress around learning and create new neural pathways to facilitate easier, more efficient learning. Specific movements will help to make connections and integrated the left and right hemispheres of the brain for whole brain processing. Wearing a Forbrain headset for 10 minutes a day while reading out loud, practicing phonics and/or singing brings improvement to the dyslexic challenged learner. Improvements are noticed by the dysphasic learners. To get 10% off your order and a free consultation with Cathy River at Madison Brain Center use code 3A3001691 or call Madison Brain Center at 608-467-7916. According to studies conducted by Dyslexia International, an estimated 700 million people worldwide currently struggle with some level of Dyslexia. This condition affects those of all ages from toddlers to the elderly. Contrary to popular misconception, those living with this issue aren’t simply hampered by mental reversal of letters and numbers. Instead, they experience difficulties with phonological awareness. They’re largely unable to look at a word, separate individual sounds corresponding to each letter in that word, and reconstruct those back into something visually recognizable in their own minds. Dyslexia isn’t based on a lack of intelligence. In fact, the opposite is usually true. Those affected by the condition are typically highly intelligent, but they’re unable to make certain connections between the left and right sides of their brains in the same manner others do. In many cases, dyslexic individuals possess above-average creativity. Fortunately, this particular strength happens to be the key to overcoming the condition. Being able to forge ahead despite dyslexia requires learning alternate ways of thinking to be able to connect letters to their specific sounds as well as their many different combined meanings. Experts in this field have discovered 80 percent of sensory information is actually auditory, leading to an important development in the battle against dyslexia. Deemed Forbrain, this system emphasizes several critical mental and auditory elements, ultimately bringing them together to help master phonological awareness. 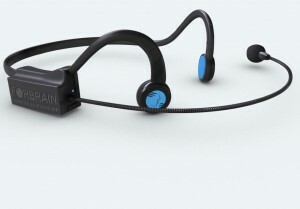 Forbrain consists of a headset equipped with a dynamic filter. When in use, the filter helps users mentally block background noise while enhancing various aspects of their own voices through its connected microphone. Instead of relying on traditional earpieces, the system rests in front of the ears, essentially relaying the user’s voice through bone conductivity. For dyslexia patients, Forbrain, combined with professional coaching, can be effective in creating connections between individual letter sounds and the words they come together to form. The system enhances the auditory aspect of language, thereby promoting visual recognition and comprehension. This also helps thwart the lack of focus, lowered productivity, reduced motivation, and loss of confidence often associated with dyslexia. Users have found they are able to gradually Increase Attention and memory capacities while learning to better speak and understand both written and spoken language. Those experiencing speech issues have also found the Forbrain system useful. Dyslexia patients, as well as those with other speech, language, and learning disorders, learn to mentally block auditory distractions and focus more effectively on school work, their jobs, or other tasks with which they’re being faced.